Location: Conway Hall, 25 Red Lion Square, London WC1R 4RL. Ever wondered how religiously literate you are? Click here to take our new Facebook quiz and find out! Please feel free to share this link within your own forums / social media pages. The RE Quality Mark is a REC project celebrating good RE in schools across England, Wales and Northern Ireland. REQM award holders (see our map) are being surveyed for their comments on the impact of the award and the results of the survey are on the website. A full review of the REQM criteria and process is underway with partners this year. The review has been generously funded by the Culham St Gabriel's Trust. REQM assessors attend training at least every three years, and they are kept in touch by e-mail in the meantime. The next assessor training session in London (26th June). The RE: Quality Matters conference will be held at the University of Huddersfield on Saturday 16 June. We are delighted that the keynote is Dr Kevin O’Grady (Lead Consultant for Research, Culham St Gabriel's Trust) speaking on ‘Transforming RE through research? The Culham St Gabriel's Trust research strategy and how you can be part of it'. This event is free to all REQM award holders currently listed on our database and to invited schools from the university's networks. There is a maximum of 50 places available so please book early! Booking will close on 25 May. Email admin@reqm.org to find out more. Thanks to generous funding from The Westhill Trust the RE Council is able to offer FREE RE Quality Mark assessments to a limited number of schools in the West Midlands, Staffordshire, Warwickshire, Shropshire, Worcestershire and Herefordshire. A grant from the St Matthias Trust means we can also offer subsidised REQM assessments to eligible schools in Bristol, Bath and Wells, Gloucester and Somerset. For updates, please follow the REQM on Twitter @REQualityMark. 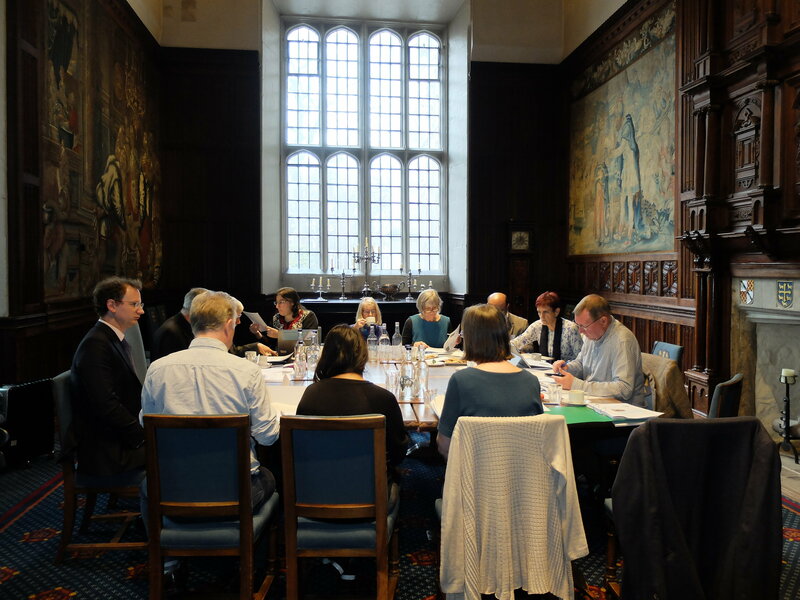 The Commission on Religious Education (CoRE) met on 16 March at the Jerusalem Chamber, Westminster Abbey. This room has a significant place in the history of England and the United Kingdom. Henry IV died there, the Westminster meetings of the scholars who translated what became known as the King James Bible were held there, and in 1646 during the Commonwealth the Presbyterian Westminster Confession was compiled there. Commissioners discussed a national plan for RE including how classroom teachers could be supported in their work. REC member organisations are kindly requested to encourage their members and colleagues to keep up-to-date with the work of the Commission on Religious Education (CoRE) by subscribing to the REC newsletter (this can be done at the bottom of the REC homepage), or by checking the latest news on the Commission’s website , and following the Commission on Twitter @CommissionOnRE. The Hindu Council have produced a presentation on the issue of exploring Philosophy of Religion at Eton College. 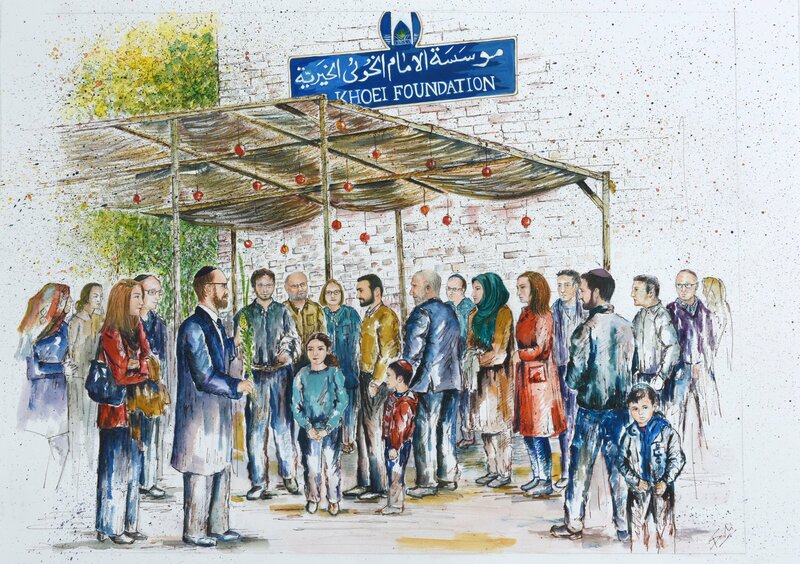 Al Khoei Foundation's Sadaqa Day project took place at the Imam Khoei Islamic Centre on Sunday March 18th. Families of volunteers from both the Brondesbury Park Synagogue synagogue and the Al Khoei Foundation came to the Imam Khoei Centre to donate items to St Laurence Larder. A parent from Al Sadiq and Al Zahra Schools presented a painting from a previous joint venture to the Brondesbury Park Synagogue. 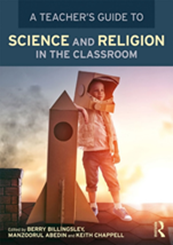 Canterbury Christ Church University is running a series of public lectures around science, religion and education. Our Chair, Professor Trevor Cooling, is giving one exploring the development of his thinking over his career as a science graduate turned RE teacher and practising Christian from an evangelical background. On Wednesday, 28th March 2018 the Institute of Jainology and Jain APPG hosted an event at the House of Commons to celebrate 'Mahavir Janma Kalyanak’ - the birth of Mahavir, the 24th Jina. Members of Parliament, heads of Jain organisations and members of the community enjoyed keynotes from Lord Jitesh Gadhia and Sachin Shah leader of Harrow Council, both encouraging young people to play a greater role in public life. The evening also celebrated the OneJain lifetime and community awards to Mr Manhar Mehta and Mr Jayant Doshi respectively. Both have contributed greatly to the Jain community in the UK. The final speeches on eradicating leprosy, and encouraging organ donation in the community ended the evening on a charitable note. A twitter summary of the event and photos can be seen here. Four RE professional associations are collaborating to produce an exciting conference on Religious Education and we invite proposals for seminars and workshops. The Association of RE Advisers, Inspectors and Consultants (AREIAC), the Association of University Lecturers in Religion and Education (AULRE), the National Association of SACREs (NASACRE) and the National Association of Teachers of RE (NATRE), along with Culham St Gabriel's Trust, are working together at a time of crucial change, development and opportunity for RE. Cost: £175, with a concessionary rate for serving teachers presenting and delegates new to the national scene. The aim of the conference will be to enhance the quality of religious education by drawing together professionals in RE – teachers at primary, secondary and special schools, academics, researchers, advisers, and providers of professional development. All delegates will be able to access the new subject knowledge, practical and research insights that can promote a more religiously literate society based on shared values. The conference organisers warmly invite proposals for a practical workshop, academic seminar, or talk, in one of the breakout sessions. We will consider all proposals and reserve the right to accept, reject or combine proposals where appropriate. The Association of RE Advisers Inspectors and Consultants (AREIAC) summer conference will be taking place in Bristol on 2nd and 3rd July 2018. The theme this year is 'REflecting plurality in RE’ and speakers include Denise Cush, Professor of Religion and Education at Bath Spa University; Bob Jackson, Emeritus Professor, University of Warwick; and Dr Farid Panjwani, Director, Centre for Research and Evaluation in Muslim Education (CREME), UCL Institute of Education, University College London. Delegates can attend for one or both days and the conference is open to anyone interested in promoting excellence in RE. For more information and to make a booking please contact conference organiser Gill Vaisey at areiacconference@gmail.com or visit the AREIAC website www.areiac.org.uk. Keynote speakers: Professor Julian Stern (York St John University); Dr Daniel Moulin-Stożek (Daniel Jubilee Centre for Character and Virtues, University of Birmingham. 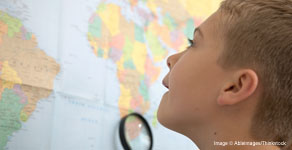 Panel discussion on knowledge-based curriculum design including Dr Mark Chater (Director of Education, Culham St Gabriels) and Dr Barbara Wintersgill (Editor of Big Ideas for RE https://goo.gl/H1DtBe) and other keynotes to be confirmed. The call for papers is open with 14th February being the deadline for abstract submissions. Abstracts should be sent to bob.bowie@canterbury.ac.uk. Confirmation of acceptance will be given within 7 working days of receipt of abstracts (excluding public holidays). The conference cost will be around £150 excluding overnight accommodation. For information, visit the AULRE website. Where in the world? 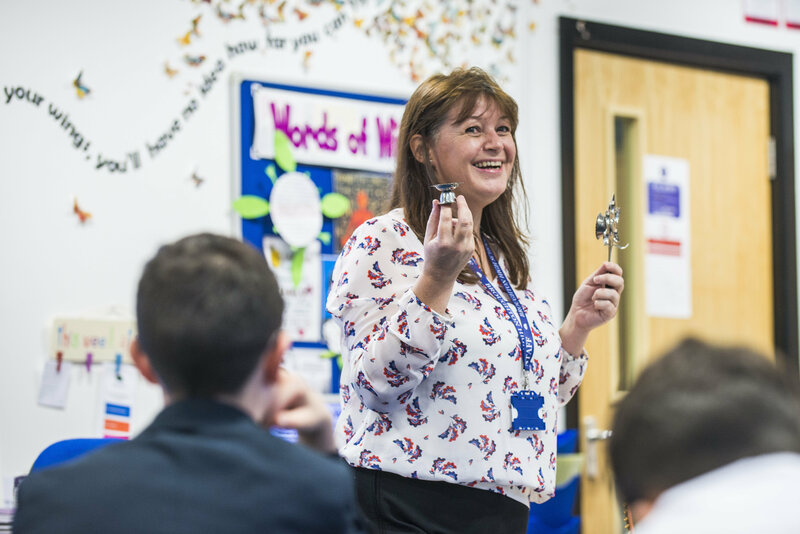 is an active 2-hour CPD session from Barnabas in Schools for primary teaching staff, that explains how to creatively teach about Christianity as a world faith, using a broader, more diverse range of expressions to those normally experienced in the UK. The course’s resource book has recently been accredited for use with the National Society’s Understanding Christianity project. A similarly-themed Barnabas RE Day of drama, storytelling and discussion is also available for lessons in primary schools and academies. All the latest professional development opportunities in RE are tweeted and retweeted via the RE PD Portal Twitter account @RE_PDPortal. The RE PD portal is managed by the REC and is a one-stop shop for teachers of RE to find out about professional development opportunities of all kinds. The portal includes a database of courses across the UK and online. If you are offering any PD courses, workshops, or other provisions over the next academic year, please get in touch or submit your opportunity using the submissions form. If you are a PD provider and would like to receive the half-termly call for submissions, sign up to the mailing list here. To submit an entry to the next newsletter, e-mail a short paragraph along with a web link to naomi@religiouseducationcouncil.org.uk by the 24th of the month.